I was recently asked to speak at two Boulder Startup Week sessions on startup diversity to provide my perspective as a female investor with experience investing in women-led companies. Admittedly, when I was asked to speak on these topics, I was a little miffed. Two more invitations to speak about being a woman rather than what I am truly passionate about – startup investing. In fact, in deciding to found MergeLane – the startup accelerator and fund for startups with at least one female in leadership — my business partner and I had long talks about our ambivalence around this issue. I’ve written about this before. 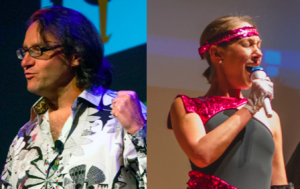 But….I wanted to be a part of Boulder Startup Week, and I was asked to speak with three of my favorite startup investors: Nicole Glaros and David Cohen from Techstars, and Brad Feld from Foundry Group. I am so glad that I agreed to give these talks. 1) Investing in diversity is not a charitable cause. It is an investment in innovation. 2) Diversity in the startup community means far more than gender diversity. 3) Diversity requires ongoing attention. There are dozens of studies that support the case for diversity in business. As I was reminded from my talks this week, there are multiple ways to actually achieve it. You can hear a few examples from my conversation on diversity with David Cohen here. Additionally, the following is a list of some of my favorite diversity tactics coupled with a few more, courtesy of my co-speakers Nicole Glaros, David Cohen and Brad Feld. Put diverse, smart and successful people on stage. There are plenty of accomplished people in the startup community who are not T-shirt-wearing millennials. Making an extra effort to showcase diversity in media opportunities and at community events organically encourages diversity. As one interesting idea, Boulder Startup Week and Techstars recently established policies to not participate in single-gender panels. Dress like YOU. Speaking of apparel, as I’ve learned from interviewing hundreds of diverse entrepreneurs, the T-shirt and jeans culture is a commonly cited reason atypical entrepreneurs feel out of place in the startup culture. For our talk this week, Brad Feld showed up in a gold sequin hoody paired with zebra-print shoes. I made a comment that his outfit was one advantage of being a man—because the audience would perceive it much differently if it were worn by a woman. After thinking about it, I decided that being a man actually has nothing to do with it. His outfit was well-received because it seemed authentic and showed the essence of Brad. I received the exact same reaction when I wore silver spandex and pink sequins to appreciate our sponsors for MergeLane Demo Day a few weeks ago. As embarrassing as it is, this musical number is in fact the essence of me. Wearing what makes you most comfortable and encouraging others to do the same can be a big step toward achieving diversity. Note: Silver spandex and gold sequin hoodies might not be the best choice for every occasion. See my recent post on how to dress for startup success. Ask everyone in your organization to own a diversity initiative. When it decided it needed to focus more on diversity, Techstars asked its staff to each come up with one thing they could contribute to the cause. The staff members were asked to champion each of their ideas and, just like that, Techstars was doing 80 additional things to increase diversity. Take fewer meetings. Brad encouraged our audience to “take more meetings” to increase the odds of supporting and recruiting a more diverse network. This is a great point. In fact, the time that Nicole, Brad and David each took to take a meeting with me (someone who does not look like the typical angel investor) when I first started angel investing was game-changing for me. However, I think the opposite can also be true. As someone who receives an endless stream of meeting requests, I have learned that random meetings 1) can prevent me from staying in my zone of genius and making the most important impact I can make and 2) tend to be referrals from my inner circle of people that look and act just like I do. Perhaps the balance is to simply be strategic about the diversity of the meetings you take. Diversify your referral sources. The easiest way to find high-quality, pre-vetted startup talent and investment opportunities is to be referred by someone you know and trust. However, as I mentioned above, the people you know and trust tend to look just like you. You can address this network bias by making an effort to build relationships with people outside your immediate circle and with organizations cultivating diverse talent. NCWIT, Unshackled, and Defy Ventures are three interesting organizations that were mentioned in our talks. Techstars also recently founded the Techstars Foundation to provide grants for organizations impacting diversity in tech entrepreneurship in a positive and scalable way. Think beyond the startup staff. As an example, audience member and diversity champion Mandy Godown reminded our panel that board diversity can increase startup success. Brad sited Board List as a helpful gender diversity resource. Think beyond gender and color. Thinking of diversity in a broader sense can drive innovation a step further. We’ve seen the benefits of this firsthand at MergeLane. Although our program was designed to target women, some of our unique features have helped us attract more mature founders and entrepreneurs in underserved geographies. As a result, we’ve been able to recruit some extremely interesting companies that our counterparts could not. Embrace the balance. As Nicole pointed out several times, some of the least startup-friendly qualities in certain populations (e.g., risk-aversion tendencies in women and Asian cultures) can be assets when paired with counterparts who lean the other way. Build great companies. Brad made the excellent point that startup founders and investors should not be spending 80 percent of their time increasing diversity. Moderately diverse successful startups are far more powerful case studies than extremely diverse unsuccessful startups. Thanks to Boulder Startup Week and my co-speakers Nicole, David and Brad, I’m reenergized about the MergeLane mission and the importance of diversity beyond gender. Having a network of smart people to keep me in check is yet another reason it’s a privilege to call Boulder and the global startup community home. Onward and Upward.